Yesterday while I was running on the treadmill, there is was nothing too exciting on TV. When I run on a treadmill, a must for me is my iPhone with my favorite blood-pumping tunes playing semi-loudly in my head and ideally a television to help change the scenery as I literally go nowhere during my mileage goal of the day. But yesterday I missed out with the visuals. So instead I changed my tunes to a mix of the Jimmy Buffet and the Beach Boys. I closed my eyes, submerged myself into the lyrics and melodies – transporting my mind to a memory of running on the beach in Hunington Beach California. All of a sudden, I was running across the bridge over the Pacific Coast Highway, linking the Hyatt Regency to the serene and tranquil beach. I then continued my run on the paved path along the sand with the sun and ocean to my left and people all about biking, sunning and just enjoying the beautiful weather. I was no longer on a treadmill in a gym on a gloomy overcast day in Pennsylvania. Instead, I was in a place that just spikes one’s adrenaline due to sheer setting. I felt even more energized and happier with my run. I was in the zone. And the plotted mileage flew by. This is not the first time I transported myself while exercising. I often meditate while running outside and especially while swimming laps indoors. Many meditate with yoga, but when I’m doing yoga I’m focusing on getting the pose just right. Most prefer to meditate where it’s quiet as it helps with the transporting. For me, music adds to the feeling and I can arrive quicker. Other popular mediation exercises include walking, cycling and working out on an elliptical. Meditation helps more than the ticking away of the clock, getting through a monotonous exercise, or powering through a difficult regimen. It lessens stress and anxiety, helps to lower blood pressure and cholesterol levels, and can provide more energy while releasing the feel good endorphins. Meditation also benefits those suffering from eating disorders, allergies, and depression as well as chronic health conditions, such as pain, irritable bowel syndrome (IBS) and AIDS. It can help with resistance and channeling for those trying to kick a drug addiction in addition those changing their diets to lose unwanted weight. Having a strong body and a strong mind is a powerful combination. One fights off weakness, illnesses and injuries while the other wards off worry, despair, stress and poor health. Both the American Heart Association and National Institutes of Health recommend meditation and for at least 15 to 20 minutes a day. This may be challenging at first, so at least try for 5 minutes and build for there. So make the time to meditate. Make yourself immune all the way around. One of the most common New Year’s resolutions is to lose weight. The battle of the bulge has been an ongoing fight for many with the extra pounds winning, especially with age. And with age, losing weight can become more challenging as lifestyles change and activities begin to slip away. 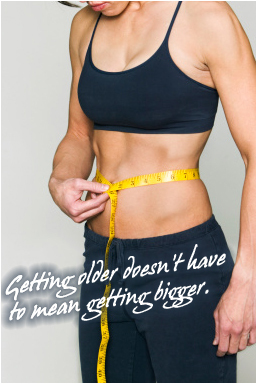 But getting older shouldn’t also mean getting bigger. As you become less active, adjust your daily caloric intake to match accordingly. To maintain your weight, the American Heart Association recommends women of the ages 40 to 50 to consume 1,800 calories per day for a sedative lifestyle, 1,800 and 2,000 for a moderate, and up to 2,200 daily calories for those who exercise vigorously. If you actually count the calories you eat for one day, you may be actually surprised to learn that 1,800 calories is not very many. To eat more, you have to become more active. And to lose weight, you need increase your activities PLUS eat less. In your quest to lose weight, you will need to find one that best matches your lifestyle and taste buds. Below are some of the top diets from the hundreds available today. Atkins – A low-carbohydrate diet created by Robert Atkins that limits consumption of carbohydrates to switch your body’s metabolism from metabolizing glucose as energy over to converting stored body fat to energy. Body for Life – Based on principles widely known in bodybuilding, the Body for Life diet was created by EAS owner Bill Phillips and focuses on a low caloric diet to force fat loss while still retaining enough calories and protein to build muscle and cardiovascular endurance. Jenny Craig – With more than 700 weight management centers in the world, this weight management program combines nutrition and physical activity with counseling to help you change lifestyle and eating habits for life. Medifast– Originally only available through your physician, the Medifast program a very low-calorie approach to weight loss with zero counting. Instead over 70 meal-replacement options are available, including snacks and popular shakes. Mediterranean Diet – Considered to be one of the healthiest diets, the Mediterranean Diet is inspired by Spain, Italy, Greece and the Middle East and includes a high consumption fresh, seasonal whole foods, olive oil and fish, a moderate intake of dairy and wine, low consumption of red meats and no processed foods. Nutrisystem – The ultimate in convenience, NutriSystem provides pre-prepared, portion-controlled meal selections that are delivered to your door in microwave-ready pouches. Just go online and sign up. The meals are low in sodium, saturated and trans fats, and include whole grains and a wide variety of foods. South Beach – Devised by cardiologist Arthur Agatston and dietician Marie Almon, this low-fat diet replaces bad carbs and bad fats with good ones. There’s no counting calories or strict portion sizes. Volumetrics – For those who always feel hungry on a diet, then this one may be for you. Created by nutritionist Barbara Rolls, PhD, the diet focuses on feeling full by eating energy densed foods with these foods having very high water content. Weight Watchers – Created by a homemaker in the 1960’s, this international program helps to lose weight by forming helpful habits such as eating smarter, getting more exercise and providing support. Both products and services are available to participants. The Zone – A best seller book by the same name, this diet encourages consuming calories from carbohydrates, protein, and fat in a balanced ratio (30% protein, 30% fat, and 40% carbohydrates) to retool your metabolism. A key to dieting is finding the one plan that works best for you in terms of your preferred food choices, lifestyle, willpower and results. 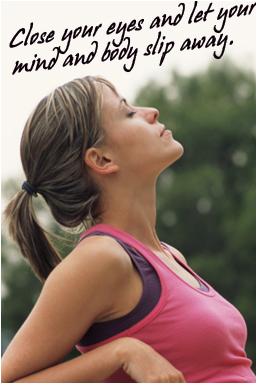 Losing weight is no easy feat, particularly the older one becomes. Just remain strong and think positive. Get a buddy to diet with or keep a food journal to help keep you on track. Remember, all is achievable with focus and determination.